Free Range is the only way to have pork! 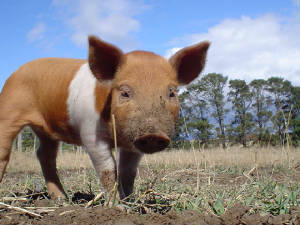 Piglets are born after a gestation of 3 months, 3 weeks & 3 Days!! All piglets are usually 100% for meat purpose, But due to me having a baby soon arrangments can be made for pets or to grow your own pork. 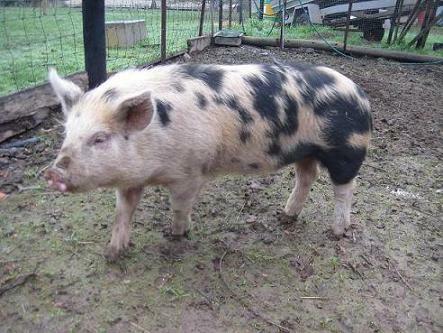 Desexed males and intire sows available for a limited time only. 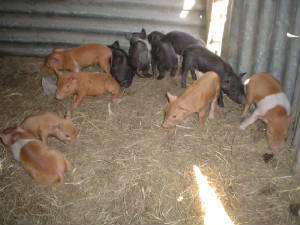 My male piglets are sold de-sexed (compulsary) This insures a better behaved animal & boar taint free meat!